Americans are eating out more than ever before, according to Census data, and the trend is expected to continue in the coming years. This is great news for quick service restaurant owners. A reliable quick service POS system can further fuel the growth. Such a system would provide driver management, inventory tracking as well as caller ID integration. However, the best pos system for quick service restaurants must also be easy to operate in order to maintain the speed of service. Running a quick service establishment involves taking orders fast, processing payments, and maybe even providing service at the drive-thru. As an owner or manager of a food establishment, customer service is the key to your success. Consider Enabling your staff to operate swiftly at tableside with an iPad device. Many quick-service restaurant pos systems integrate self-service kiosks, in order to keep lines to a minimum. In a competitive market like the quick service business, sales and marketing tools like email marketing and CRM can help you enhance your client base and get them to come back. Furthermore, features like inventory alerts and controls are crucial because they keep you aware of inventory levels so you can restock faster. Finally, a solid quick service POS solution will offer integrated accounting, in order to monitor sales and costs closely. The staff management feature will make it possible for you to track employee activities and performance. 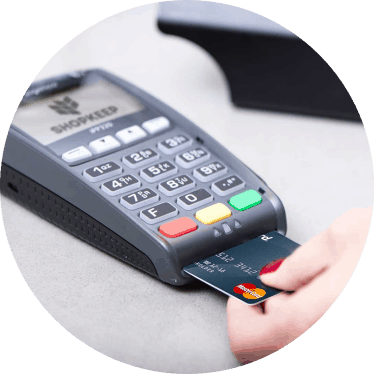 Revel POS Systems is both web-based and locally installed. Even if the Internet is down, the POS will continue to function. You can run it locally through your Apple iPad and sync all data to the cloud. 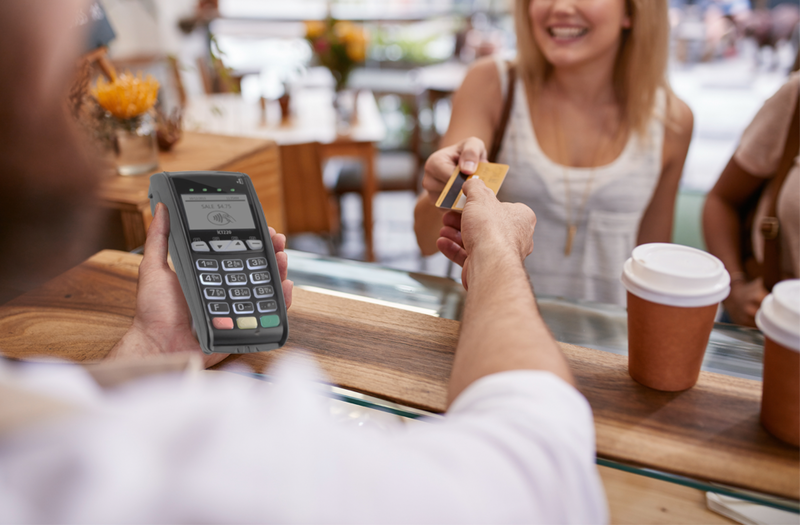 However, it is not advisable to accept cards without an Internet connection because payment authorization for credit cards may not be possible while you don’t have Internet access. Revel works perfectly with quick service businesses and restaurants. In fact, most of their integrations are aimed specifically at the quick-service industry. The software has expanded greatly with time and can be used by salons, retail businesses, mobile businesses, grocery stores, pizza and coffee shops, and niche shops. We think it is the best POS system for quick service restaurants. Revel’s prices depend on the setup and the size of the establishment. The company offers industry-specific software packages for a fixed amount per month. The subscription includes a software license. Regardless of your specific type of business – café, bar, deli, restaurant, or even smaller-scale shops like food trucks and ice cream shops, the pricing is flexible and broken down per terminal. You can also avail yourself of Revel as a Service (RaaS) pricing, which includes minimal upfront costs. You will pay only a monthly fee covering hosting charges and replacement of malfunctioning or defective hardware. All subscription packages include top security, unlimited data storage, personal data protection, 24/7 live support, unlimited software updates, and even integration with QuickBooks. Revel is most suitable for large businesses because it can manage hundreds of thousands of SKUs and multiple locations. However, it has been optimized for mid-sized businesses, especially those struggling to compete with their larger counterparts. Indeed, it offers a wide variety of applications and modular software that makes it possible to customize the system to a specific business’s needs. The system is stable, yet customizable. But, even though it is customizable, since it takes a lot of time and effort to set up, and may not be suitable for a very small establishment. Most small shops couldn’t take advantage of its superb advanced features. Staff logs in to Revel using a pin number to access permissions and unique settings. A touch screen displays a product matrix on one side with order tallies across from it. There are also descriptions if you choose this option. Amounts, discounts, modifiers, and additional payment options are simple to add. The Revel POS can also be used as a customer-facing display or kiosk. Revel POS’s software is quite simple to use once you manage to get it going. The back end is clarified by a series of training videos, and the front end is very intuitive and easy to navigate. There are occasional software glitches, and the setup can be challenging, as mentioned. Although Revel has adapted its software to encompass almost every industry, it will still take some time to adapt the software to your quick service’s specific needs. This is a great system for a bigger establishment. On the other hand, a smaller quick service operation might want to consider less complex system. Customer service is excellent, and the advanced functionality is a major plus. TouchBistro was designed specifically with quick service establishment owners in mind. It offers mobility, cloud-based reporting, and excellent customer support. It is an iPad-based POS system that can be taken anywhere in the restaurant, deli, or bar. Waiters can take orders from clients waiting in line to cut down on serving time. This will help the facility run more efficiently and make it possible for staff to focus on providing good services. 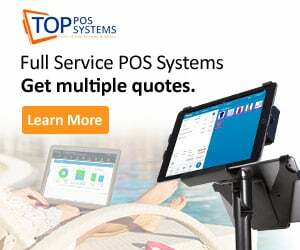 This POS system is compatible with iPad, iPad Pro and iPad Mini. You won’t have to invest much in hardware. The system is cheaper to set up than most traditional quick-service POS systems because it is compatible with third-party POS equipment. TouchBistro's professional customer support representatives are friendly and knowledgeable, and there are countless ways to contact a live representative and resolve issues under their guidance. All clients have access to email and phone support at no extra cost. The cloud-based reporting enables access back-office features using any device equipped with a browser. Remote access is possible. You can follow what’s going on in the shop without having to actually be there physically. The company offers video tutorials, step-by-step guides, and a searchable base of knowledge and other information to help you learn how best to use the system. The price is also quite affordable, making it very well-suited for smaller establishments. You can choose from four software plans based on the number of iPads you plan on using with the system, and you can plan details and view rates based on annual billing on the company's website. All plans feature cloud reporting and full selection and support for an unlimited number of users. There is also a free trial if you want to try the system before buying it. Additionally, custom quotes are available too. TouchBistro’s solid reporting tools offer excellent assistance in managing an expanding quick service business. With sales data, inventory counts, expense reports, and other analytical data, the system offers full, detailed views of how your establishment is doing financially, which products are selling best, who your best employees are, and much more. It can also help you establish trends to make your menu better. This system cannot be used without a Mac computer - iMac, Mac Mini or iMac Pro - to use as a server if you have more than one iPad. As the system is based on Apple infrastructure, you will need both an AirPort Express router and iPad to get started with it. 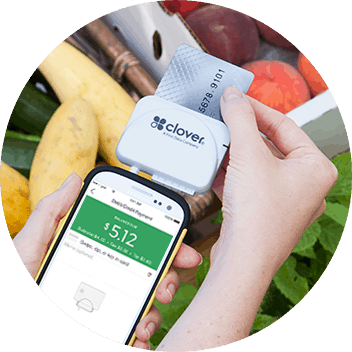 It may not be the best option if you're looking for an Android- or Windows-friendly POS system. TouchBistro offers a good balance of features that are specific to the quick-service industry, such as help with managing catering, reservations, and quick deliveries. It's a well-priced solution that doesn’t force you to sign a long-term contract. POS Nation has very efficient inventory control. You know how important that is for a quick service. Simply put, knowing what your inventory contains helps you serve your customers better. POS Nation generates sales reports, prints custom barcodes and tracks employees. All of this enables you to get a better handle on the financial status of your quick service operations. As a result, you will be more efficient and make better management decisions. To track stock, you can simply create a label on the spot. The POS performs a quick scan to reduce inventory data errors and improve efficiency. Quick service store managers can make better business decisions this way. Purchase orders can be created, tracked and sent automatically. Also, your staff will also receive notifications when it is necessary to reorder. Further, accounting processes are tailored to fit the quick service establishment’s unique needs, keeping income flowing in. POS Nation can track a customer's purchasing history.This is one of the quick service POS software’s best features. Furthermore, it allows a manager to created targeted marketing campaigns to track customers’ purchasing habits. 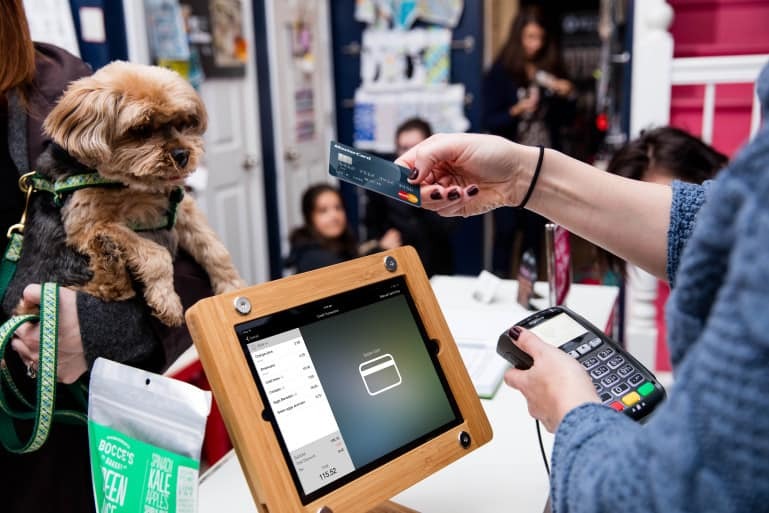 Over 70,000 businesses use POS Nation, who work with a variety of retailers, ranging from independent convenience store owners and managers to multi-location chains. They are an excellent choice for enterprises of all sizes. Despite the fact that POS Nation is very industry-specific and custom pos solution , it can be scaled. I is a flexible retail POS system is capable of expanding with it. The system comes with a barcode scanner, cash drawer, receipt printer, touchscreen computer, and credit card swipe. You can upgrade if you choose. The system features lots of POS hardware as an ad-on, including pin pads, scales, customer displays, label printers, and more. POS Nation’s software will help you run your quick service establishment easily and efficiently, no matter what its size is. The system provides all the data you need to make decisions. You can offer promotions, and you will always know how well your inventory is doing and how your margins are by stock type. 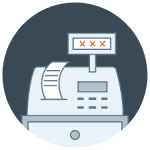 Cash management is a crucial function of POS systems, but far from the only one. In fact, many systems range from capability to streamline a typical quick service’s processes to design a system fully adaptive to your business. A good quick service POS should be user-friendly, fast, and intuitive to your processes. It should offer an open API key to customize certain features. It should also provide an offline option to keep things running even on internet outages and scale smoothly to your customer volume. Technical support should be available around the clock with quick response time. Each second counts in a quick service’s business hours. The provider should offer training for the setup, software upgrades and credit card payment integration. Always consider hybrid architecture such as that of Revel POS, our top choice, that enables the system to run offline or via a local network. Also, look for extra data security features to protect yourself and your clients from credit card fraud. As your quick service grows, you need to grow the POS ecosystem via open API or third-party integration. There are literally hundreds of POS and restaurant management solutions out there, each offering different features. Features important to quick service operations can include financial management, staffing, digital displays, and reservation platforms. Also, delivery management, smartphone payments, and wait-list management. Some functions are add-ons, others are stand-alone, and others are bundled. Quick service managers realize that controlling the cost of your operation using a POS system is important. In this competitive business, the product must be perceived to be valued more than the cost of its raw materials. Creating value is your way to success.